Before/After hair transplant with Dr. Dan McGrath of Texas. Hair loss is no joke. The emotional trauma associated with a receding hairline and ever balding scalp is as powerful as any physical assault. Unlike other manifestations of the ageing process progressive hair loss steals its victims identity and individuality. Don’t believe this ? Think for a moment what armed forces all around the world do to their inductees on day one of their military training. They shave their heads… and thus they begin to look very much a like. That is to say, they no longer look like themselves. And that’s the idea. But these boot camp baldies know their hair will grow back in time. Such is not the case for the man who looks in the mirror and fails to recognize his own reflection because his hairline has receded. Getting older creates changes like wrinkled skin, frown lines, and texture changes but the identity of that person remains intact. They are still recognizable as themselves under the layer of ageing. But not so for a man losing his hair. Once even one inch of hairline has receded his look is altered massively and undeniably. He is no longer instantly recognizable as himself. 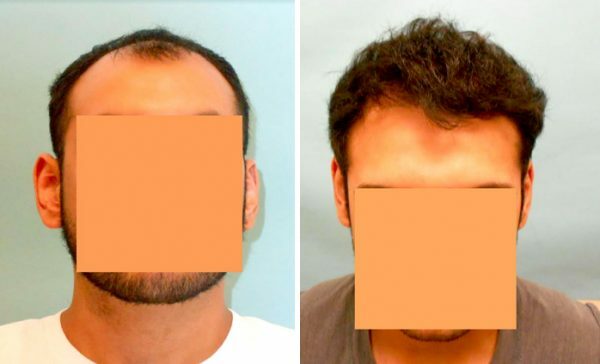 And this is why hair transplant surgery is easily one of the most popular cosmetic surgeries for men in the world. Simply put: A hair transplant does not serve VANITY, it rescues IDENTITY. Take this patient of Dr. McGrath of Texas. A young man who had not even as yet experienced his first gray hair. After hair transplant with Dr. Dan McGrath, Texas. 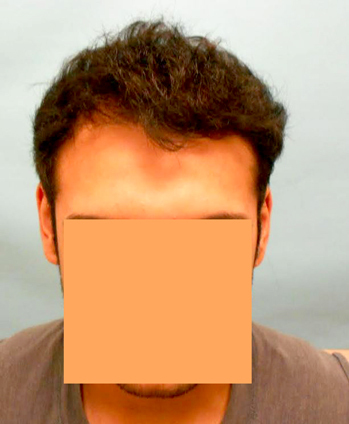 He lost his entire hairline, top, and crown prior to seeking hair transplant treatment. Something had to be done. So he visited with Dr. McGrath who evaluated the problem and the resources available and came up with a surgical hair restoration plan. As usual, it’s never as straight forward as it may seem. A hair transplant is not the mere act of removing hair roots from the back and throwing them in the bald areas. Strategy must be involved to maximize the effect of the transplant and this is something Dr. Daniel McGrath does masterfully. After removing healthy hair follicles from the back of this patient’s head, he and his team carefully and smartly distributed this limited donor supply into the front and top envisioning how it would look when grown. It is like a game of chess that requires skill, patience, and experience. And McGrath is a grandmaster of this “game”.